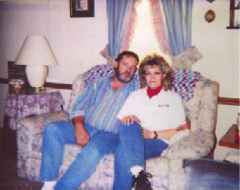 This is a picture of Marilyn and I that was taken about 3 years ago. After 33 years of marriage we're still best buddies. 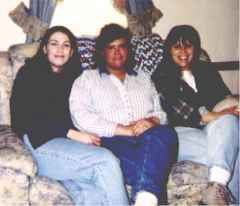 Here's a picture of out three girls, from left to right: Becky, Angela and Melissa. All three are married and have their own families now. Now for the babies, these are out grandchildren. Our pride and joy..
Am I a proud Grampa or what, this was taken just after Megan & Bub came in from playing outside. out of the Laborer's Hall in Illinois. Help find a missing child." "Call 1-800-THE-LOST (1-800-843-5678) if you've seen one of these children. We support the work of the National Center for Missing and Exploited Children.